Aleme Publishing and Skys Unlimited are owned by Michael Eldridge. 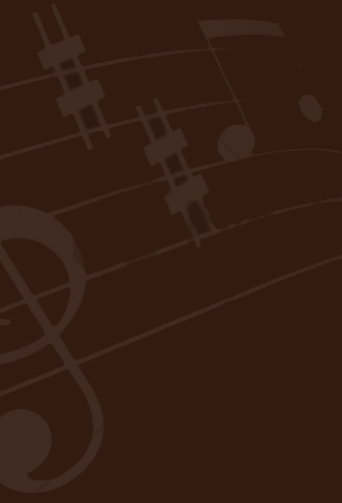 Aleme Publishing holds the copyrights on Michael's books and original compositions. 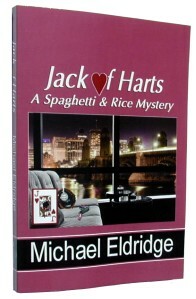 Look for my 1st private eye novel, 'Jack of Harts-A Spaghetti & Rice Mystery has been launched. Get your signed copy now! Michael has written the book for a Broadway Musical/Comedy with the writer/arranger Jerry Ranger. They are currently shopping the musical to various producers in the US as well as producers in England to do a British version for London's West End - The show is called, "So What So Do We Do Now? - (The Baby Boomer Retirement Show)". They also have a director/producer in L.A. who may want to open the show in small theaters nationwide and eventually take it to Broadway. Bethany Eldridge got her start in health care saving lives on the street as an EMT in Michigan, and is now a nurse. Michael has written a total of 8 novels and a short story collection. His first novel in a private eye series, (4 mss. 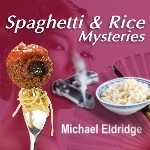 in all) 'Jack of Harts-A Spaghetti & Rice Mystery' is being published by Oak Tree Press, and will be released around the first week in May. 2014. Bethany writes the descriptions, while Michael deals with the plot, characters, and dialogue. After this first self-published novel they now write under the name of Michael Eldridge. We hope you will enjoy their offerings. Aleme Publishing and Skys Unlimited Inc. are owned by Michael Eldridge. ©Copyright 2011Michael Eldridge All Rights Reserved.